The Sci-Tech website SiliconRepublic.com has named Matthew as a top influencer in the city of Bristol. 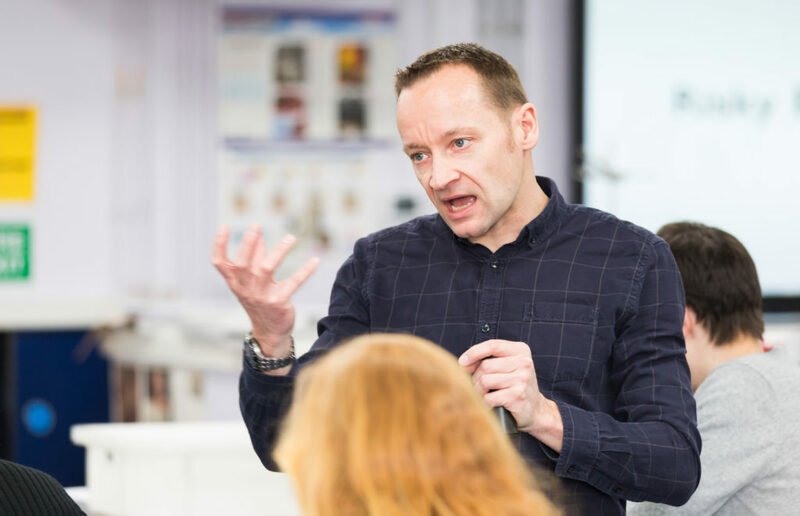 In an article published on 15th February, Matthew is cited as “the UK’s number one firework science presenter” and listed as one of ten of the biggest sci-tech influencers in Bristol. The website aims to keep readers informed on vital issues impacting STEM (science, technology, engineering and maths). In this focus on Bristol, ten people are highlighted as “people you should get to know from the Bristol area”, particularly for new people moving to the city. Matthew first moved to Bristol in 1995 to study physics at the University of Bristol and quickly fell in love with the city. When he is not on the road, he actively supports the local science communication scene, taking time to network with early career and aspiring science-communicators at the monthly Bristol SciComm Socials. 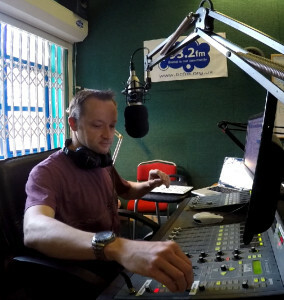 He is also a regular voice on local radio, including BBC Radio Bristol, BCFM, Ujima 98, and Pirate Nation Radio. 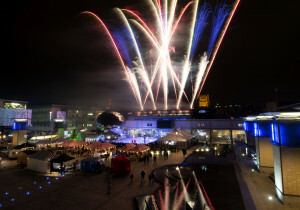 At-Bristol has commissioned Matthew to produce a rooftop firework spectacular for the launch of its ice skating rink and festive fair. The evening, themed all around fire and ice, will see Matthew and his team firing a display from the roof and balcony of the hands-on science centre, which overlooks Millennium Square and the ice rink. Matthew is no stranger to science centres; the presenter regularly works alongside science centre programmes and festivals across the country, often presenting his own science stage shows. On 3rd November, he will be turning his firework production skills to the skies over the centre of Bristol, in what he describes as a family friendly show which will take the themes of fire and ice into the air. Matthew says that it is an appropriate, but unusual location to work. The fireworks will take place after the festive lights switch-on at around 6:10pm. It is free to attend. With the general election upon us, Matthew will be hosting an election night special on local radio in Bristol. He’ll anchor a discussion and results show through the night from 10pm until breakfast, featuring interviews, reactions, live links with reporters at the counting centres across the city and examing the national picture as results come in from around the UK. BCfm Station Manager, Patrick Hart, approached Matthew with the broadcast proposal in early March. Although most people know Matthew for his event and pyrotechnics work, he is no stranger to marathon live broadcasts. He has presented live web-streamed coverage of the National Twelve Bell Final for the past two years to a global audience. The election night broadcast starts at 22:00 on 7th May. It will be available across Bristol on 93.2FM, online via www.bcfmradio.com and simulcast with www.piratenationradio.com. Matthew has joined the award-winning One Love Breakfast team on Bristol’s BCfm 93.2 and Ujima 98. He can be heard reading the half-hourly radio news and travel bulletins on one or two mornings each week. One Love Breakfast airs 07:00-10:00 Monday to Thursday on BCfm 93.2FM and Ujima 98FM across Bristol and is also available online.